In terms of food production, processing and marketing, women play a significant role in agrifood systems across Latin America and the Caribbean, a new Food and Agriculture Organization (FAO) study says. The report examines the value chains of cassava (Belize), quinoa (Bolivia), corn (Guatemala) and the regional cultivation of cotton from a gender perspective. “In rural areas, the contribution of women is mostly invisible although they perform a large part of the activities at farm level as well as domestic work and unpaid home care,” Claudia Brito, the FAO gender officer, said. Goal 5 of the Sustainable Development Goals promises gender equality. With the Blue Growth Initiative, the FAO is trying to strengthen the role of women in the fisheries sector. According to experts, the sector has enormous potential to strengthen and nurture women as they have a big stake in fish processing and marketing. The State of Food and Agriculture 2015 report released by the FAO said that expanding social protection programmes in rural areas across the world and linking them to inclusive agricultural growth policies will ensure reduction in the number of poor people. According to the study, a great side of social protection schemes is that they can empower women and make them self-sufficient. One of the most important things behind the success of such programmes is the inclusion of women and the degree of assistance (monetary or otherwise) they receive. In most rural households, women play a definitive role in agriculture and other allied activities. Thus, including women under the social protection network is more likely to ensure its success worldwide. 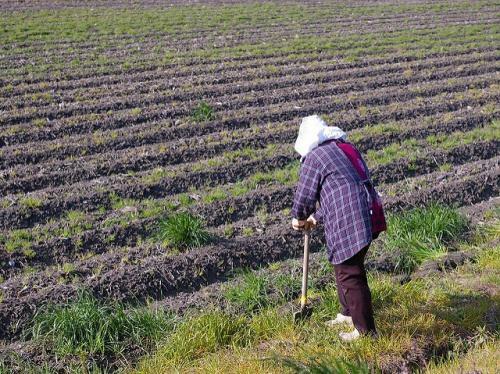 A new FAO study says that participation of women is more pronounced in activities that involve time as well as physical labour in the agriculture sector. However, they are less represented in those links of the productive chain associated with increased revenue generation and active participation in markets. According to the FAO, the strategic integration of the gender perspective in national agrifood systems can lead to a substantial improvement in the competitiveness of markets. “If men and women had the same opportunities and benefits in the production, processing and marketing of food, we would take a giant step towards the eradication of hunger and poverty in Latin America and the Caribbean,” Brito added. According to the study, women in Belize have an important role to play in the value chain of cassava. While the role of men is limited to production, transportation and sale in open markets, women participate in all the processes. The FAO study recommends updating cassava technical training programmes from a gender perspective and the development of marketing tools and business management under the same approach. It also suggests encouraging the formalisation of women’s cooperatives to achieve greater access to financial and non-financial services for productive projects. Bolivia has taken important steps towards gender parity. Women involved in the cultivation of quinoa require new technologies and tools that meet their needs, facilitating greater efficiency in their production and transformation processes and alleviation of workload. According to the national agricultural survey of Guatemala (2008), a big gap in land tenure exists between men (85 per cent) and women (15 per cent). Less than 40 per cent of female-headed households have their own lands. Women in the corn value chain of Guatemala have excessive workload, ranging from 12 to 16 hours a day. According to the FAO study, women also face difficulties accessing financial services, lack technologies and tools, have low levels of training and low decision-making power. “We cannot end hunger in the region, and achieve the Sustainable Development Goals, without achieving gender equality,” said Brito. Currently, the FAO is supporting the community of Latin American and Caribbean State (CELAC) to develop a gender policy for CELAC’s Food Security Nutrition and Hunger Eradication Plan which seeks to end hunger in the region by 2025.